Hi, just wondering if you stitched it together at the end? I'm guessing you did, but I guess you could also use buttons etc great quick pattern. Thanks for sharing. :) ♥. Hi! I joined it together, kind of like you would a hat, at the end of the first round. Then I continued in the round. At the very end, I used the tapestry needle to connect the beginning chains. hi! So I'm 5'1 and was going to make this for myself. should I do it shorter, you think? I also have a pretty short torso. Meg, you may want to go a bit shorter. When I put this on, it fell below my waist and when I wrapped it, it fell just below my breasts. Maybe try a chain of 124. I tested mine by chaining and seeing how far it would fall when I held it together in a loop. Thanks for posting this beautiful scarf. It took me almost 3 hours to make. I'm a beginner so finishing this scarf so quick was very encouraging. Also, I didn't have bulky yarn, so I made it holding 2 strands of Bernats Softee Baby yarn. It came out soft and warm! Thanks again for creating this pattern! 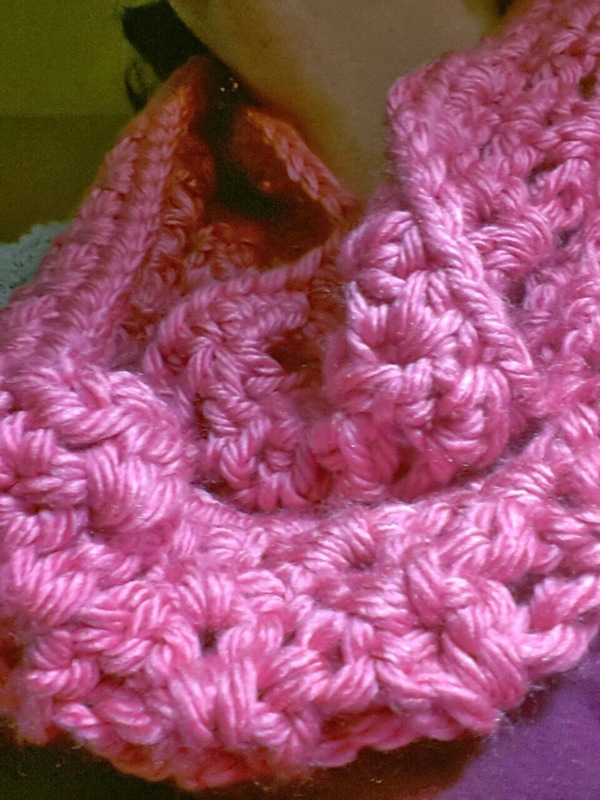 This is an infinity scarf, so you need to crochet a very long starting chain. 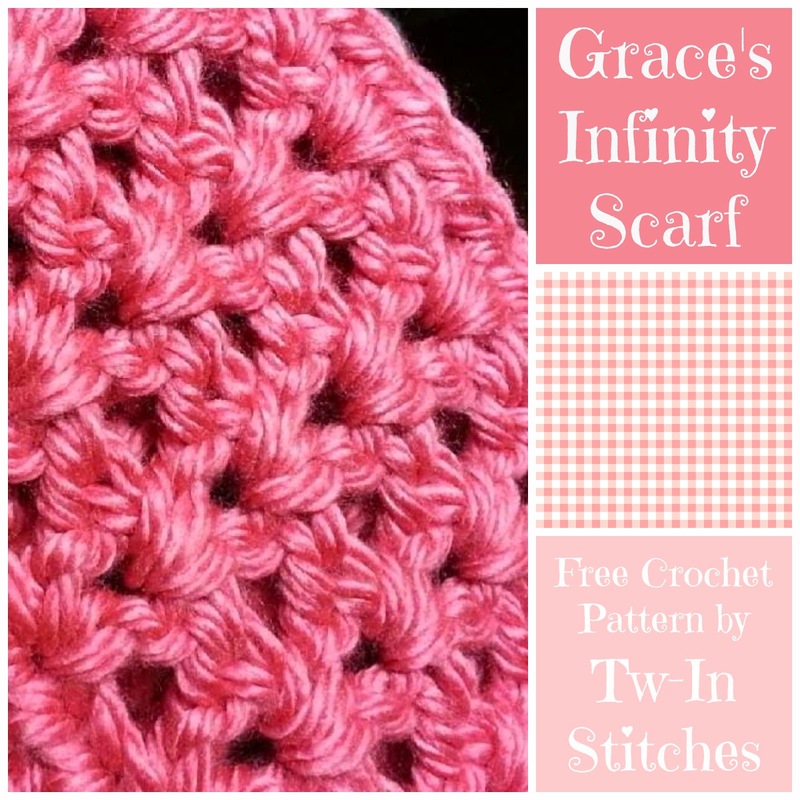 If you are making a regular scarf, you would make a smaller number and follow a different pattern on my blog than this one. In the last round, it says "2 HDCs in each chain 1 space (top of V) and 1 HDC in the next." does that mean the 1 HDC goes in the spot between the V's? Hi Samantha, I'm afraid to say that it's been so long since I wrote this pattern I don't recall what the exact spacing is. 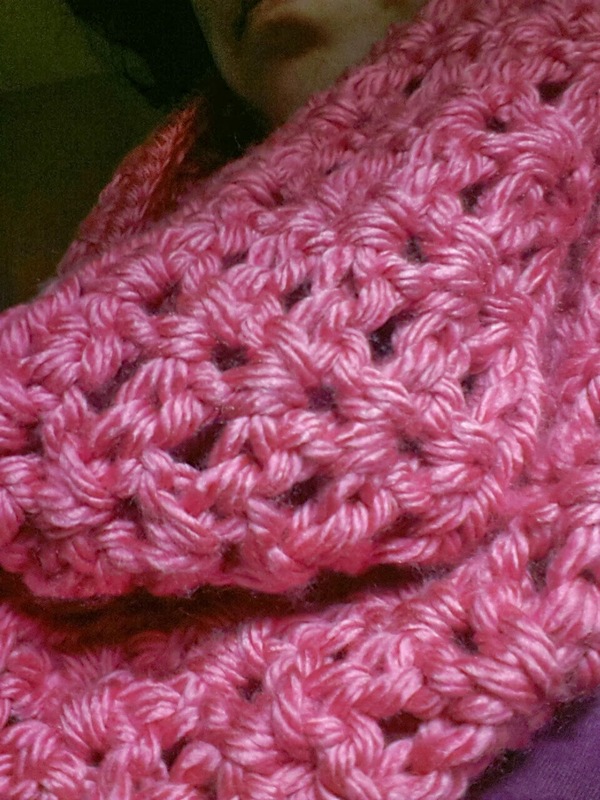 Looking at the pictures it looks like I definitely put two half double crochets in each chain space and I may have put one half double crochet in the Stitch between the chain spaces. 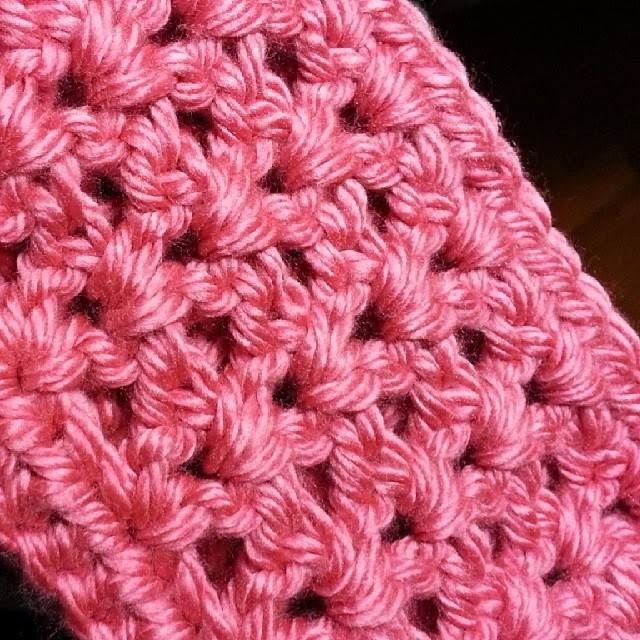 You need three stitches for each V in the pattern. If I have time to make a new one, I'll test it and let you know.